Kelly Austria is a public relations professional. She is managing partner of RubyComm-K.Austria, a public relations firm. She is also co-faculty of the Media Relations and Engagement course under the Public Management Development Program of the Development Academy of the Philippines. Traveling fills her free time. What fills her soul is helping the children who live in the mountains and other isolated areas by supplying aid to them. Kelly literally treks the talk on the advocacies for kids' education and voluntourism. 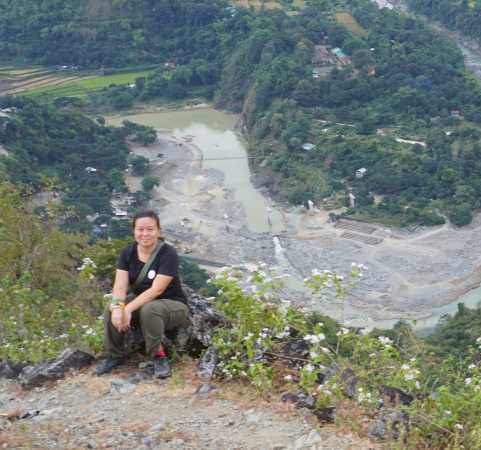 She is currently affiliated with various mountaineering clubs and co-founded a volunteer-based group helping children who live in mountainous areas called TRails To Empower Kids or TREK. Her efforts in harnessing the power of education in peacebuilding landed her a Peace Award from the Rotary Club of Paranaque St. Andrew. As a writer, Kelly has contributed works to some of the country's major publications. She also keeps her own travel blog, Damn Good Travels and an advocacy site, Voluntourism Philippines.